Did you know we spend around one third of our lives in bed? A mattress is the perfect breeding ground for millions of dust mites feeding off your dead skin. 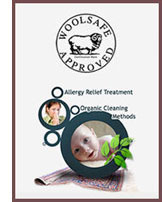 The waste from dust mites in a mattress can cause asthma and skin allergies in you and your children. Vacuuming your mattress will not remove stains caused by urine, sweat, live dust mites, bed bugs, fleas or oily substances such as dead skin or makeup. Get your mattress professionally cleaned and sanitised today. Call us now on 0488 963 678. You can expect first class mattress cleaning every time with Refresh Mattress Cleaning. Our technicians are experts in cleaning and sanitising mattresses. When you choose us you can rest assured you are in safe hands, as we are fully insured and certified.